Sublimated design singlets debut at the Classic World’s in Killeen to great fanfare and acclaim. Yellow Jacket Knee Sleeves are introduced to the market. Designed to resemble the notorious Texan Yellow Jacket wasp. 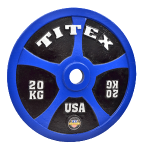 Titan innovates and releases IPF Approved TITEX calibrated weights and competition bar. Debuts at the Arnold Sports Festival. 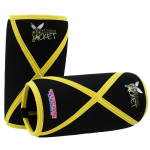 Signature Gold wraps are introduced, quickly becoming a favorite of seasoned Powerlifters. Ram and Super Ram bench training devices debut. 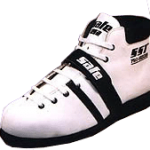 Titan purchases the belt and shoe division of Safe USA. The belt division is rebranded as Texas Belts. Titan embarks on its goal to be a one stop shop for strength training and powerlifting. Jonas Rantanen posts the biggest unlimited squat in powerlifting history with a 575 kg (1,267 lb) squat using a Titan BOSS suit. Irma Alaniz, innovator, inventor, co-founder of Titan and matron of the family passes away. Max RPM wrap is introduced. Steve Goggins breaks the1200 lb squat barrier in a Titan BOSS suit. Provisional Patent is granted for a new energy storing bench shirt design. The Super Katana is introduced. 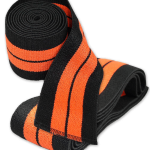 An energy storing collar and reinforced sleeve construction make this the shirt of preference for elite lifters. 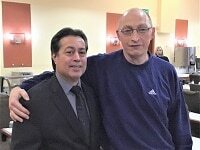 Titan President Pete Alaniz strongly suggests to IPF President Detlev Albrings to embrace the emergence of Classic/Raw Powerlifting. 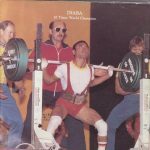 In anticipation of the rise of raw powerlifting, Titan Support Systems purchased the established Shoe and belt brand Safe USA. Titan purchases its current 2 acre manufacturing facility in Corpus Christi, Texas. Patent Pending Katana bench shirt is introduced. 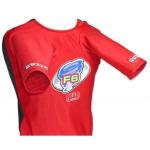 This shirt features torque seam sleeves to store more energy. Titan introduces the F6 bench shirt specifically designed for arched benchers. This new design allows for optimized 90° alignment of the bench sleeves after the lifter attains the arched position. Records continue to fall. THP & Titanium wraps are introduced. 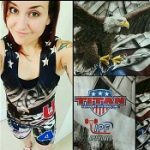 Competitors are now trying to copy Titan fabrics and shirt designs. 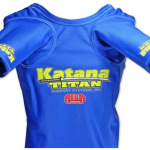 Titan introduces NXG Plus for suits and bench shirts. Titan performance begins to convincingly pull away from the competition. Titan purchases and moves into its first large scale commercial production facility in Corpus Christi, Texas. Titan introduces NXG fabric. A new performance era begins. Titan proudly initiates the sponsorship of USAPL national teams, which will turn out to be a long term relationship. Titan introduces the Signature wraps. 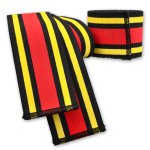 In addition to having unique elastic properties, it is the first graphics and colored wrap in the lifting world. 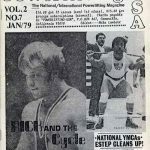 Dan Austin wins his 9th World title, Gene Bell wins his 5th, Captain Kirk wins his final World Championships and retires. During his 6 year reign, he dominates his class. Captain Kirk moves back up to 125kg. 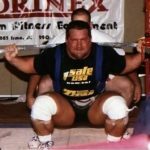 At the Nationals, he becomes the lightest lifter in IPF history to squat over 1,000 lbs (455kg) along with a World record total. This record remains unchallenged for 16 years. It remains on the record books when the weight classes are changed in 2011. Captain Kirk Karwoski switches to Titan and drops to the 110 kg class. At the USPF Nationals in Houston, TX, the Captain squats a World Record 415 kgs (914 lbs)! Patent US 5046194A is granted for the Centurion powerlifting suit. Within 15 years this design will become the #1 single-ply squat suit in the history of the sport. 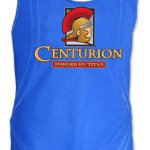 Patent application is submitted for the Centurion powerlifting suit. Hideaki Inaba & Hiro Isagawa win the World Championships in Titan gear. 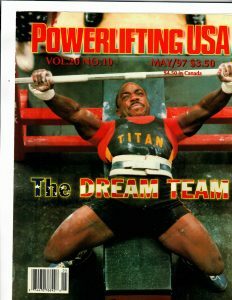 The concept for a Titan bench shirt is developed and briefly sold through 1987. Patent issues result in mothballing of the design. Pete Alaniz encourages friend Scott Safe to commercialize his shoe design. A local shoe factory agrees to produce the shoe and Safe USA is born. Manufacturing of belts in Texas soon follows. Hideaki Inaba @ 52kg, Hiroyuki Isagawa @56 kg & Tom Henderson @125kg win the World Champonships in Titan. 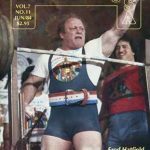 Lifting legends Fred Hatfield and Hideaki Inaba set World Records and win World Championships. 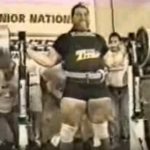 Hatfield attempts his first 1,000 lb squat in a Titan Suit. Pete and his training partner attend their first IPF World Championships to support Rick Gaugler. Training for Pete Alaniz is taken to the next level, when the opportunity presents itself to come under the tutelage of IPF World Champion Rick Gaugler. Alaniz brothers enter their first Powerlifting contest, the Texas State Teenage Championships. Brothers Pete & David Alaniz begin their weight training experience.